Craft Your Own Name Tag. 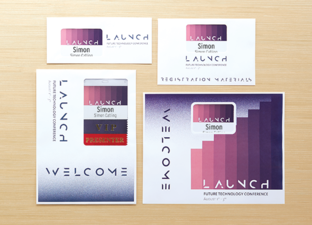 Set the stage for your event by creating easy name tags with these four parts: Holders, Inserts, Lanyards, and Ribbons. An Event Staple. Holders come in 100s of types to hold inserts. Choose by attachment or size. With 100+ holders to choose from, we'll help you pick the perfect one. The Tag's core. Put the name in tags-literally. Superior paper stock and free templates available. We offer only superior insert paper stock. A real multi-tasker. Carries the name badge, maximizes brand exposure with a customized imprint. 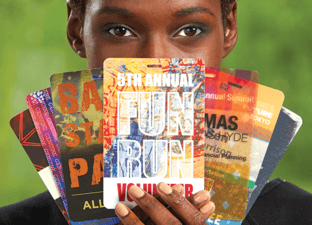 Over 1,400 lanyards with various prices to meet your budget. The icebreaker. Rewards, Categorizes and connects attendees. Choose from in-stock or create your own. Create your own ribbon title with 41 ribbon colors and 16 foil colors to choose from. Choose from over 70 in-stock titles or create your own. Or, Let Us Create Everything for You. popular products, some which planners helped us create.